When you cook for a living and you’re always chasing time while paying customers are waiting, you start to rely on kitchen tools and gadgets to save you time and effort. I believe everyone should have basic tools to make their cooking experience more pleasurable. The first gadget I want to introduce, some of you might be familiar with. 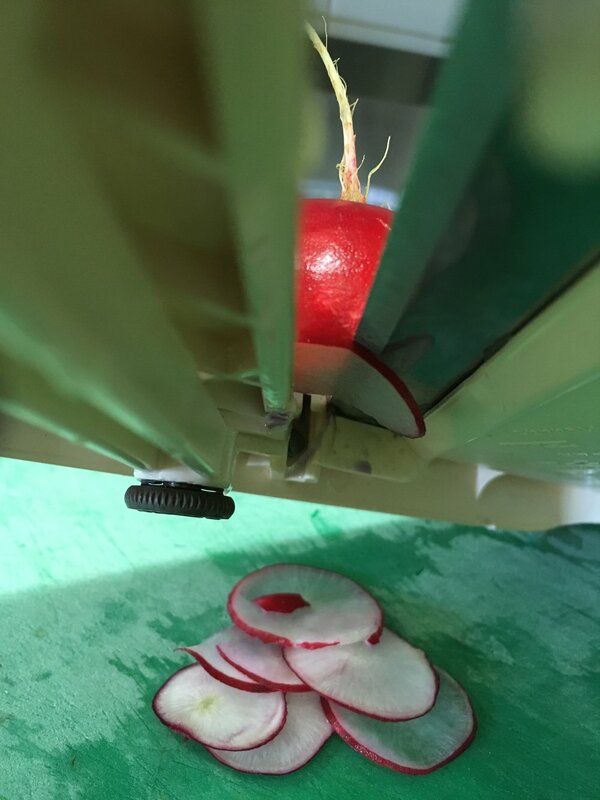 Some chefs might pull up their noses thinking it a lazy way of slicing ingredients, but, if they are willing to admit it or not, every chef uses this gadget at some stage. To me, this is THE most amazing invention ever! I use it to slice cabbage for salad, sauerkraut or stir fry, it slices your salad ingredients perfectly even and thin and it takes all the effort out of making a potato bake just to mention a few uses. I introduce: the mandoline! 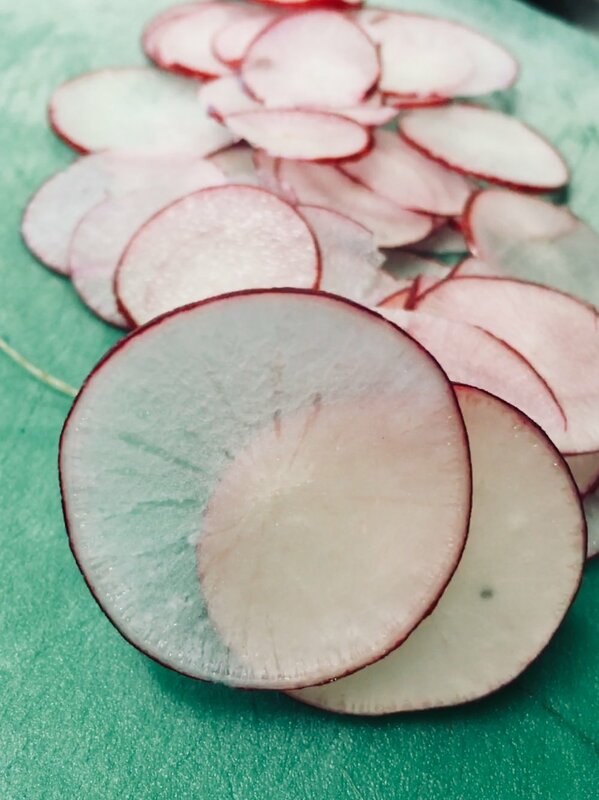 Who said you need to be able to chop like a chef in order to get the perfect radish slice. Your secret is safe with me.